So you’ve chosen your challenge of a lifetime and you’re excitedly counting down the days. Here’s 6 tips on preparing for your charity challenge and making sure you’re ready and able to enjoy it. Secure your place! – I know this sounds obvious but so many of the big challenges sell out really quickly. Don’t leave it until the last minute, get your registration in! Make sure you have registered and also recieved confirmation. 2. Chose your charity – If you are choosing to use your challenge as a fundraising opportunity then make sure you have contacted your charity and can start fundraising straight away! If you are not sure about which charity to chose or what support you should expect from them then our ‘Choosing Your Charity’ blog might help. 3. Start Training – Again, obvious I know, but from personal experience I have got half way through my challenge and always wished I’d trained more. A very wise lady once said to me that core exercises were the most important part of training for a walking challenge – I’m glad I listened to her. We have four 12 week Training Plans available depending on your challenge from Beginner to Tough. You can chose your starting point depending on your current fitness levels. 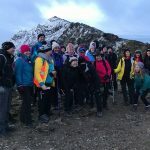 As an example, for a Snowdon challenge we would recommend building up to the ‘Challenging’ plan as a guide, so if you’re starting with the Beginners plan that’s up to 36 weeks of training you should be scheduling in. You can download the Training Plans for free here. Why not print them out and stick them on your fridge as a reminder and a bit of motivation? 4. Make sure you have the right KIT – Your kit should be suitable for your challenge. Depending on the level of your challenge you shouldn’t have to go out and buy lots of expensive kit, but you should make sure you have the right walking boots as soon as possible so you can train in them and ‘break them in’. 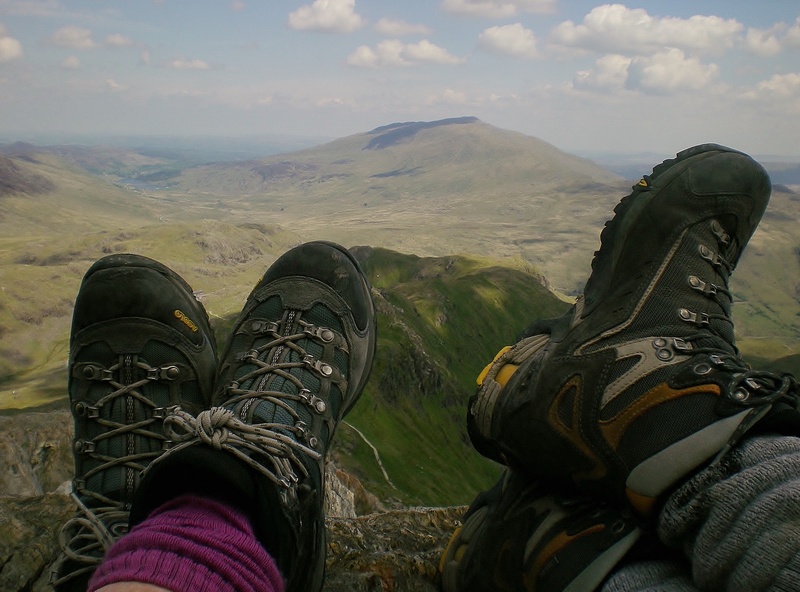 Our advice is to get them fitted properly (Cotswold Outdoor do a great boot fitting service). Tell them what challenge you are doing and what your budget is. If you are taking part in Snowdonia Challenge you should have received an email with a special Cotswold Outdoor discount code. Example Kit Lists are available here and we are happy to provide advice if you need it just contact us. 5. Start Fundraising – You may or may not have a minimum fundraising target to achieve for your challenge but the sooner you start the more you will raise. Your charity should be able to give you advice on fundraising and may provide you with a fundraising pack. 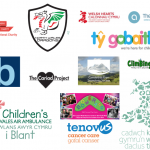 If you have joined one of our charity challenges you will have been sent our Fundraising Pack with all the information you need from setting up a Fundraising Page to ideas to engage your friends, family and colleagues. If you would like to receive this pack please email us and we will send you the link. 6. The Boring Stuff! – We know it’s boring but when we are preparing for a challenge we may need to think about where we are going to stay and how we are going to get there. If it’s a big challenge (lots of people) you are taking part in local accommodation can get booked up quite quickly. If you’re thinking of travelling by train then this can be cheaper the sooner you book it. The challenge website or company you booked through should have links or advice on transport and accomodation. If you are looking for any advice on choosing or preparing for a challenge we are happy to help!